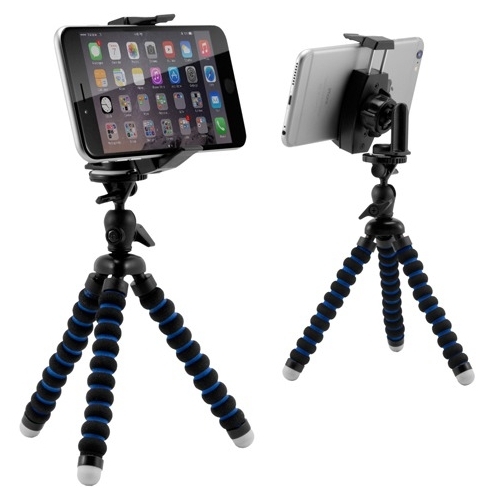 The MG2TRIXL Flexible 11" Phone Tripod Mount is the ideal accessory for streaming live video from your phone and fits the Apple iPhone 7 and 7 Plus, iPhone 6S Plus and 6S, 6, 5S, 5C, and 4S, Samsung Galaxy Note 5, and Note 4, Galaxy S7 edge, S7, S6 edge+, S6, and S5, LG G5, G4, and G3, Google Nexus 6 and Nexus 5, HTC One M9, One M8, and One Max, Nokia Lumia 1520 and 1020, Motorola Moto G, and Moto X. 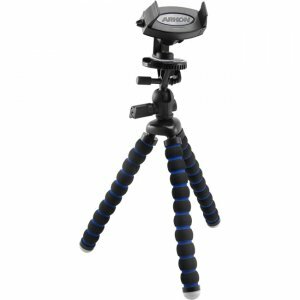 The tripod mount is also compatible with small and medium sized digital cameras with the standard 1/4"-20 camera pattern, including the Gear-Pro High-Definition Sport Action Camera, Sony Action Cam, Sony POV HD Flash Memory Camcorder, Canon EOS Rebel T5 and PowerShot, and Nikon COOLPIX and D40. 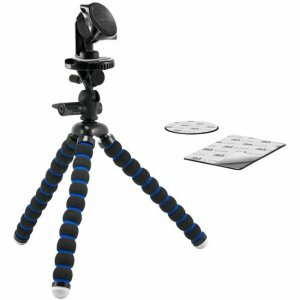 This unique tripod mount includes Arkon's Mobile Grip 2 Universal Smartphone Holder and the Flexible 11" Tripod with handy carrying pouch. (Cameras and phones not included.) Use the flexible tripod mount/phone holder package in one of two ways: 1) Attach a digital camera directly to the flexible tripod by screwing it onto the 1/4"-20 mounting bolt, or 2) screw the end of the Mobile Grip 2 Holder directly onto the tripod mount for use with a smartphone (remove the rubber insert on the side of the holder to reveal an industry-standard 1/4"-20 threaded camera mounting pattern for use). Stream live video or take photos anywhere. 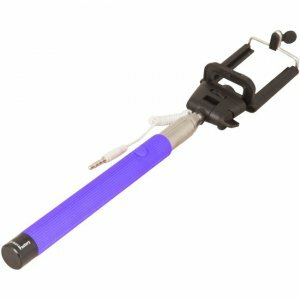 Bend the tripod mount's legs to grab on to fences, poles, and trees. 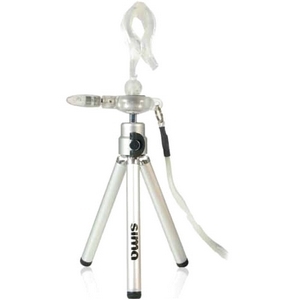 Or, hold up the tripod to get a better shot of the action at concerts, parades, and other public events. The Mobile Grip 2 holder expands to accommodate all smartphones (even those with skins and ruggedized cases) up to 3.6" wide. The holder is just 1.4" high, and is ideal for those who prefer a smaller profile. The holder's spring-loaded mechanism makes it easy to insert or remove the cell phone from the holder with one hand, yet holds the smartphone securely. 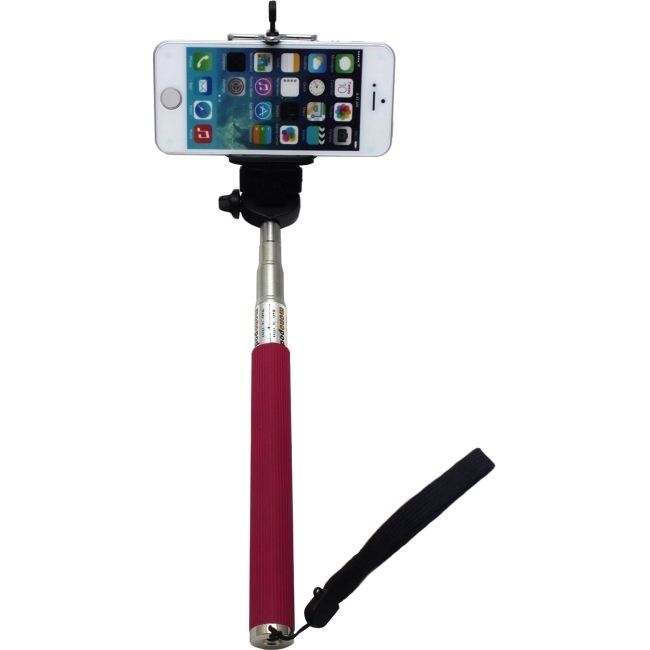 Its simplistic yet effective design keeps rear smartphone cameras free for spontaneous pictures or videos.